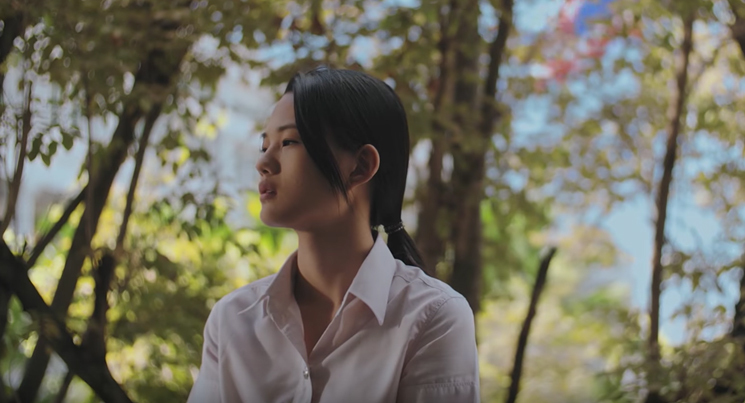 This Thai film is exceptionally beautiful and invites the viewer to experience something at once universal but also highly specific. I had two different personal responses to it which I’ll quickly get out of the way, but which are both germane. The film’s English title makes me think of a song written and performed by Sandy Denny which was recorded in 1976 but not released until several years after her death in 1978. It’s a beautiful song and has since been covered by Mary Black and others. It doesn’t appear in this film but the year 1976 is key. That was the year in which the film’s director Anocha Suwichakornpong was born. It was also the year that an infamous massacre of students by the Thai military took place at a university in Bangkok. This incident is central to the ideas behind the film. I’ve only visited Thailand once, for a few days in Bangkok en route to Japan in 1977. I’m ashamed to think that I don’t remember anything about that massacre (or even whether I was aware of it at the time). And in a sense that is what the film is about too – the impossibility of representing history through film as an art form. (The Thai title refers to a district of Bangkok but the filmmaker has said that it isn’t a ‘destination’ as such.) Anocha Suwichakornpong trained as a filmmaker in the US. She might have heard the song title there. The film has no conventional plotting but it does have a narrative. It opens with compositions of individual women looking out of windows. One of them has a camera and we are looking at them from behind. Such framings through windows and doorways, sometimes emphasised by mirrors, occur throughout the film. We soon realise that this will be a film about filmmaking and that it will include a form of mise en abîme – a film within a film, or rather, different versions of the same film? A conventional film narrative appears to begin when two women arrive at a spacious and elegant country house. 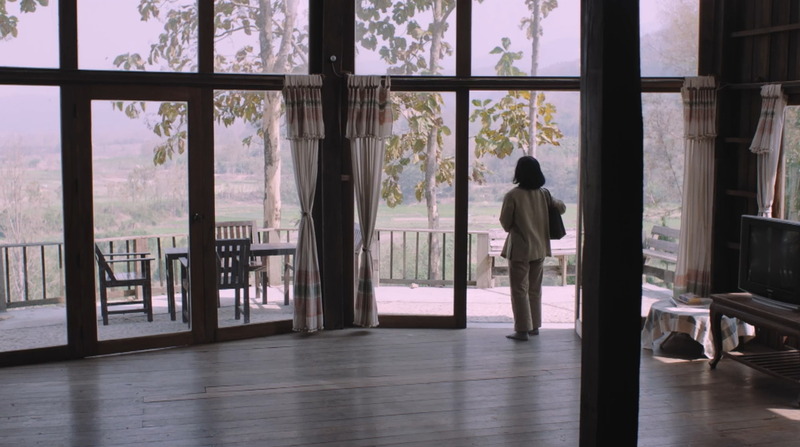 The younger woman, ‘Ann’ is a film director and she has invited the older Taew (Rassami Paoluengton), who was a student in 1976, to accompany her to the house and to be interviewed about her life. Before this moment we have seen what appears to be a re-staging of a military assault on young people. Ann is played by Visra Vichit-Vadakan who directed Karaoke Girl in 2013. The conversations between the two women skirt around Ann’s motives in making the film and Taew’s reluctance to see herself as an important historical figure. But the significant comment is made by a much younger woman who serves the couple breakfast at a forest café. This character, Nong, is played by Atchara Suwan, and she will appear in many scenes in the film. She’s a kind of ‘every working woman’ in Thailand – a waiter on a river cruiser with a restaurant, a cleaner in a hotel and head-shaved Buddhist novice. When she meets the two women in the café and learns why they are there, she tells the director that Taew should write her own story. The events of the past with the political activity of the students and the repressive actions of the military are played out at various points. Later in the film an almost documentary study of workers on a tobacco plantation slides into a study of a young actor and pop musician, Peter (Arak Amornsupasiri). This shifts the focus away from the countryside to the city and the modern world of the celebrity. Ann and Taew re-appear but played by different and more ‘starry’ actors. Finally, we are in an edit suite. Is this the film about Taew about to be completed? There is a possible narrative twist in this sequence, but equally important is the focus on the artificiality of the filmic image. The final shots of the film reminded me of the extraordinary colours of The Tears of the Black Tiger (Thailand 2000), Wisit Sasanatieng‘s fabulous tribute to the Western and the romance film. 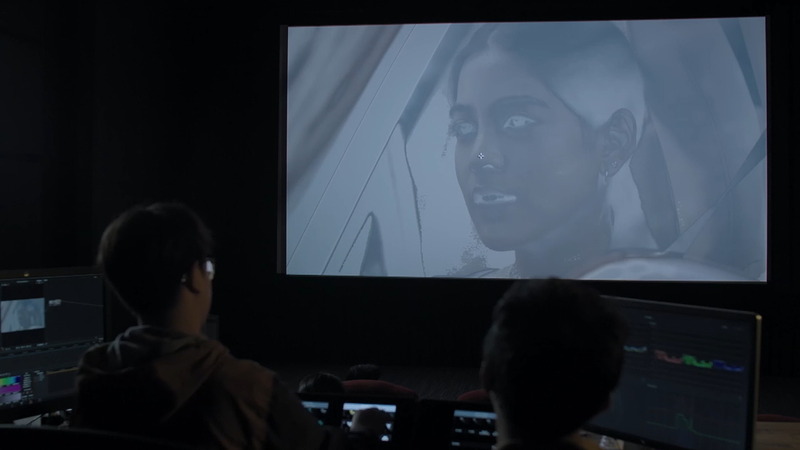 During the sequence in the edit suite, which features some English dialogue, one of the characters appears to be named ‘Pang’. The Pang Brothers, Danny and Oxide Chun, grew up in Hong Kong before becoming well-known filmmakers sharing the main creative work on actions films and horror films in Thailand since 2000. I don’t know if this is a deliberate reference. I also noted the use of a simple but very emotional piano and string arrangement of a musical piece to accompany footage of Peter and his girlfriend and this reminded me of various East Asian romance films. If all these seemingly disparate elements make this film sound as if it is difficult to watch or that it might feel incoherent, nothing could be further from my experience of watching it. What is surprising, perhaps, is that the film seems so calm and thoughtful, despite dealing with what is an almost despairing argument about a society which seems to be unable to confront its own history and narrativise and narrate it so that succeeding generations can learn how not to repeat the mistakes. But perhaps the calm approach is ultimately more fruitful? It isn’t really a problem solely for Thai cinema. We all have problems with our history and how it is represented. I should watch this film again and look out for more work by Anocha Suwichakornpong. I probably also need to learn more about Thailand’s history – as an Asian country that wasn’t colonised by the West, but has had close ties with Japan and conflicts with its neighbours (before and after colonialist periods). There are a couple of scenes in the films of almost deserted roads, some at night, which some reviewers have referred to as nods towards ‘Lynchian surrealism’. I didn’t get that, but I did think about Thailand as a ‘left-hand drive’ country, like Japan and India (and Hong Kong), despite the influence of the US and the switch to right-hand drive by the country’s neighbours. I guess what I’m saying is that By The Time it Gets Dark feels like more than an art film and that it appears to be saying something about Thai culture. But the film is a product of the festival circuit. Electric Eel Films is the Thai producer looking to make quality films but support also comes from Rotterdam and Doha Festivals, the Hubert Bals Fund and producers in several countries.